Receipt of applications for contest program of Barents Ecology Film Festival (BEFF) is continuing. The festival will be held in April in Petrozavodsk – the capital of the Republic of Karelia. Under the terms of the receipt of applications the international contest of noncommercial ecology film festival BEFF accepts films made only in 2015 and also even quit “hot” films that are made in winter 2016. Movies shouldn’t be laid out into the internet, but they must be on their native languages with english subtitles and. Feature films can be of any genre: thriller, drama, comedy, melodrama, and certainly they have to show in a varying degree interrelation between modern world, human and environment, raise the social issues of the day, economics, nature and sustainable development, impact of leading-edge technologies on the environment and finally the beauty of the world. But first of all it has to be a quality, well-made movie, to make audience to feel and be joyful with characters, to learn new things and see the perspective of the life in a harmony with nature. The international professional contest program will be screened during 5 days of the film festival. There is a large number of applications already, and not only from Russia but also from other different countries: Germany, Turkey, Norway, Finland, Sweden, Latvia, USA, Ghana. The films are: full-length feature and documental movies, short films and animation. The BEFF unique feature this year is in bringing in the program new awards, for example, “Nature and small peoples”. In a matter of fact particularly small peoples carefully keep their traditions and have the same attitude to the nature. This year for the first time the festival program includes such awards as “Karelian vision” and “Films about Karelia”, and a youth award “Debut” appeared in the short film program. Film directors from 14 to 30 years of age can apply for this award. The winners of 9 awards will get titles of laureates, awards, the BEFF figurines and the Audience Award will be awarded. And also the festival partners confirmed special prizes. As a part of the festival the hosts are planning to organize creative meetings of film directors with audience, professional discussion of details of films, hosts of the festival, ecologists, the opening of the photography exhibition, retrospective show, workshops and master-classes on EcoArt, EcoFashion, courses on video art, ecological actions and contest of children’s drawings on the pavement. Before 1st February it is possible to apply for volunteers camp of BEFF-2016, which will be held in April in Petrozavodsk. We invite everyone who wants to participate in the festival from Karelia, regions of Russia and other countries. Knowledge of foreign languages is welcomed. There is no age limit. For the first time the film festival was held 5 years ago in Petrozavodsk and its name was “EcoCup” as an analog in a partnership with Moscow “EcoCup”. But even then there were specific northern features, karelian individuality, festival-partners from different regions of Russia and countries, conception. Of 80 applications for contest screening jury selected films from Canada, Spain, Papua New Guinea, Finland, Netherlands, Sweden, and Russia. 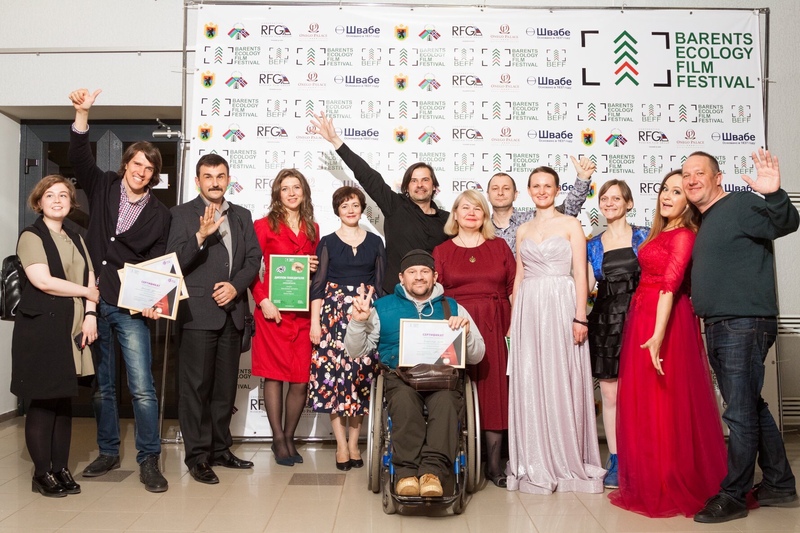 5 all-Russian premieres were showed on the main contest, and winners continued their movement and took awards on the world-class film festivals. It is worthy of note that films of very famous directors which rise urgent problems of the world, met only on BEFF-2012 and competed with each other. After the film screenings audience had an opportunity to discuss films with ecologists and authorities. During the festival Petrozavodsk became the center of ecological film, creative technologies, a healthy lifestyle, demonstration of art from natural materials and fashion from secondary natural fabric. The founders of the film festival are – the International youth club “Solveig” with Karelian Republic social movement of friendship “Karelia-Norway”, LLC Agency “Anfas”. The Festival general partners are – The Ministry of Nature Management and Ecology of the Republic of Karelia, Petrozavodsk City Administration, General Consulate of Norway in Saint-Petersburg, the Vodlozersky National Park and the World Wide Fund for Nature. The Festival partners are – LLC Cinema theatre, AC RK the Cultural Center, the trade union committee of PetrSU, The Goethe-Institute and the Finnish Film Foundation, Autlook filmsales.